Japan's largest summer festival, a-nation arrived in Singapore for the 1st time, treating the audience to an array of music and fashion! I met Ayumi Hamasaki in person for the first time at the a-nation press conference last Friday, at Marina Bay Sands. I left unimpressed after the brief encounter. I wondered how this petite and reserved 36-year-old singer could be the empress of J-pop. However, after watching her perform 10 songs at the Sands Theatre on Saturday night, all my doubts were cleared. 16 years into her showbiz career, she is still undoubtedly the reigning empress of J-pop. 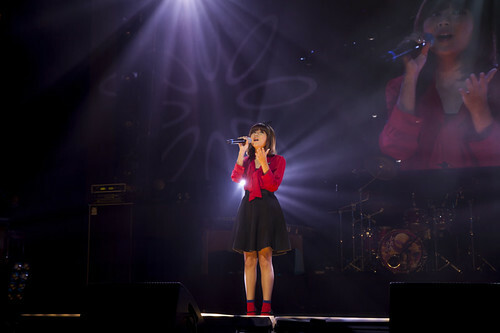 Ayumi was the last to perform at the concert, after five artistes. And if there was any crowd fatigue from standing and cheering for three hours, it all dissipated the moment Ayumi appeared. The theatre was filled with pink light sticks while cheers echoed tirelessly. Her entrance was benefiting of a queen, extravagant and spectacular. Her back up dancers performed breathtaking acrobatics, accompanied by the impressive solo rift from her guitarist. And when Ayumi sang, her crystal-like vocals shone brighter than ever. It was as though she was putting an end to rumors that her star quality may have diminished, due to her incurable loss of hearing in her left ear and competition from young and rising J-pop stars. During the press conference the day before, a reporter had asked Ayumi if she felt any pressure from rising K-pop and J-pop artistes. She replied confidently: " My style is inspired by my songs as well as my image and I don't care if it's trendy or not." And that confidence shined through her concert. Ayumi, who has 15 original albums and 52 singles to date, performed both old and new songs, from up-beat tunes like 'STEP you' to ballads such as 'Memorial Address' and 'How Beautiful You Are'. This is even more notable, considering Ayumi is deaf in her left ear after suffering from Meniere's disease in 2006. She announced her diagnosis through her Team Ayu blog in 2008. 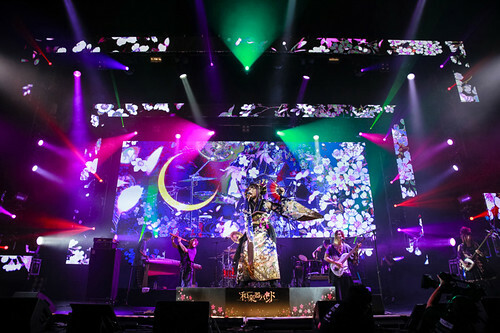 Among the other five artistes at the concert, Wagakki band, a neo-sensational Japanese style rock band, stood out. Known for fusing Shigin (Chinese poetry recitation), Japanese instruments and hard rock, the eight-man band captivated the crowd. Dressed in a kimono, the main vocalist, Yuko Suzuhana's high-pitched voice was a stark contrast to the band's heavy music, as they performed four songs. Local Mandopop singer Stella Seah, 22 was the opening act of the night. Fresh from releasing her first solo EP 'Angel's Wings' two weeks ago, Stella warmed the audience up with three songs. The four hour-long event was more than just music. There was a 15 minute fashion show which showcased seven Japanese popular models such as Lena Fuji and Alissa Yagi. Overall, it was value-for-money, given the length of the event. The crowd, consisting of locals and foreigners, was a good sport as they constantly cheered for all the artistes. 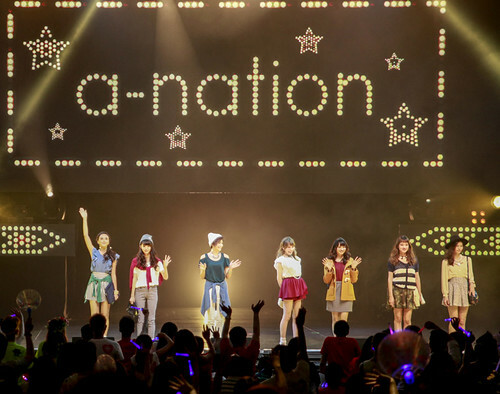 The gig was a blast, leaving everyone with high expectations for a-nation Singapore 2015!